1957 Chevrolet Bel Air Sports Coupe. Asking $65K, will listen to all reasonable offers. 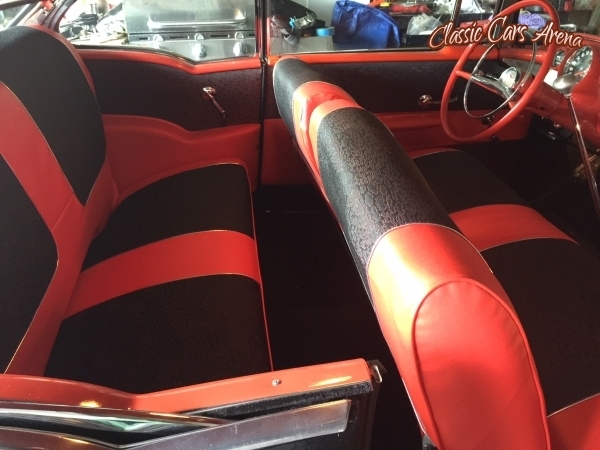 This Bel Air is a real head turner in stunning black paint with red and black custom leather interior. It has less than 10 miles since the restoration and has all the best equipment. 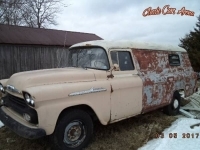 It features a brand new 383 CID small block crate motor mated to a heavy duty TH400 automatic transmission. The car runs and sounds terrific. The entire front and rear suspension has been replaced with a Ridetech air bag system, 4-link at the rear. 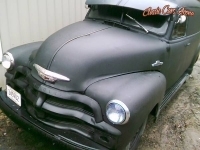 The deep black paint looks great, and the bodywork is arrow-straight with new quarter panels, front fenders and hood, all with zero rust. 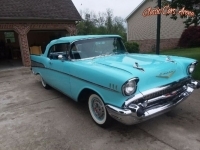 This Bel Air Sports Coupe is a very fun car to drive. It is turn-key and ready to cruise! !